The pad configuration now allows configuring two pads/plug-ins of any kind in any combination. The pad configuration now allows the configuration of two IP-Pads. In addition it can now be searched for IP-Pads in a specified range of addresses. The capture plug-ins can now be configured and selected in the pad configuration. The capture via "Tablet PCs" can now also be configured in the pad configuration. The size of the capture control for Tablet PC’s has been significally increased. The signature capture dialog was modified to support the changes of the pad configuration. The signature capture window has a new button to switch between the two configured devices. The button is invisible if only one device is configured. The column “Connection/Type” of the pad configuration has been renamed to “Connection”. Which entries show plug-ins should be more then obvious and using the column to display also the type “plug-in” has only lead to confusion. In some rare cases signoSign/2 could crash if it tried to access a file that was locked by another process (e.g. Acrobat Reader). This has been fixed. The skip button of the capture dialog will no longer be enabled if there is only one signature field selected for signing. If a file is archived using the same name and destination then the source file and the source file should be deleted the archived file will no longer be deleted. If the currently selected document type in the administration window was deleted using the apply button there was no longer any document type selected. Therefore the OK button was no longer enabled. This problem has been fixed. Holding stacks, no availability, expensive hotlines - Not with us! 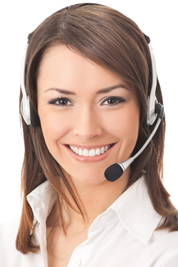 You can reach our Support via the central phone number.